“Fountain 2017” is a participatory project, envisaged as a kind of re-enactment of some of the occurrences around Duchamp’s iconic readymade “Fountain”, revealing what has happened to it in the 100 years since its inception. The story goes something like this: In 2017, it had been 100 years since Duchamp put a loo onto a pedestal. What is not quite as established is what has happened to the thing since then. Thrown out with the rubbish, some say. Marcel also really was a she, Mademoiselle Rrose Sélavy, and a very good friend of THE DOCTOR. So, what really happened is that Rrose gave the iconic piece to THE DOCTOR by way of a re-incarnation present. Now, every time she (yes, we now know she is a she too) whizzes through 2017 on her timeless travels she is sneaking the thing onto one heap of rubbish or other, wondering if someone might notice. And because THE DOCTOR has a very particular humour, she made it look rather like a modern toilet. Another fact that has been lost to history is that THE DOCTOR invented the shape of the modern sanitary facility, and designed the item to look a bit like the Starship Enterprise. In 2017 Iris Garrelfs asked for photographs of these sightings to be sent to her, intending to create a collage to be submitted to The Royal Academy Summer Exhibition in the hope this would be rejected (which it was), just as the original had been from the Society of Independent Artists’ Salon in New York. Thereby paving the way for the collage to be included in the Salon des Refuses in London, alongside a sound event that highlights the work’s importance to artists working with sound. A video extract from my performance at the event “Found Objects : Found Sound”, the audible part of “Fountain 17”. It took place at Salon Des Refuses 2018 and This improvised performance based on a telephone book by the way of found object – I had discovered on my doorstep in the morning so it seemed a good choice. Iris Garrelfs live at Salon Des Refuses 2018 (excerpt) from Iris Garrelfs on Vimeo. 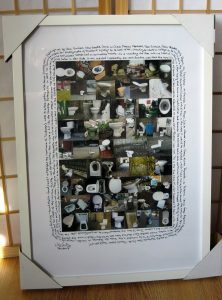 Duchamp re-enactment collage Fountain17 ready 4 dispatch! 12-12.30pm IRIS GARRELFS – improvised performance using a telephone directory. 12.30-1pm JOSH BARFOOT – a semi-improvised performance using multiple cassette tape loops, each containing fragments of field recordings. 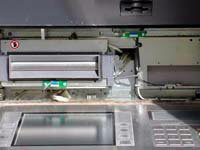 1-1.30pm DOUGLAS BENFORD – performing with kitchen objects. 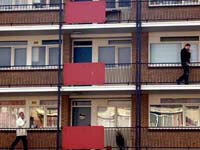 1.30-2pm DAVID BLOOR– performing a 63 channel, surround sound piece using detritus from the artists’ studio at APT. 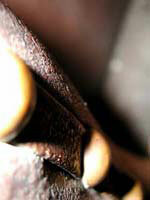 2.30-3pm TANSY SPINKS – performing her piece “grain”. 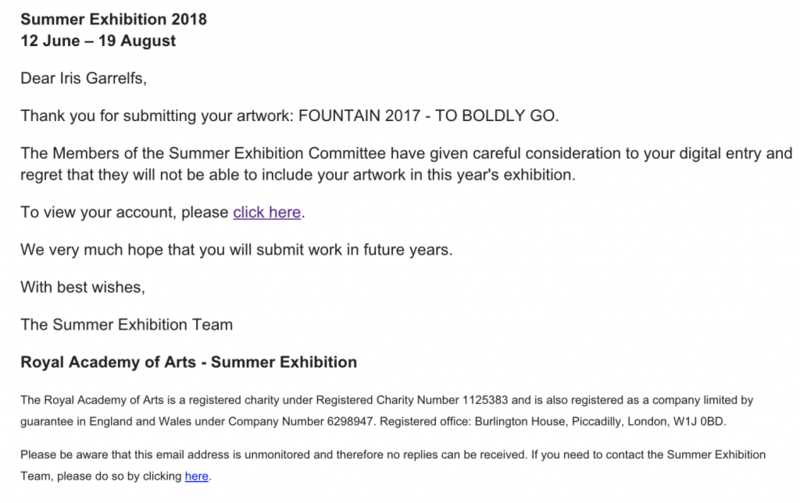 Fountain 2017 has been accepted to @SalonDesRefusesSummerExhibition, which is taking place from 7 – 10 June 2018 at Candid Arts Trust Gallery in Islington, 3-5 Torrens St, London EC1V 1NQ. 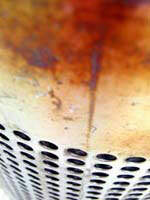 I am also hoping to curate an accompanying sound event featuring found objects and found sound. 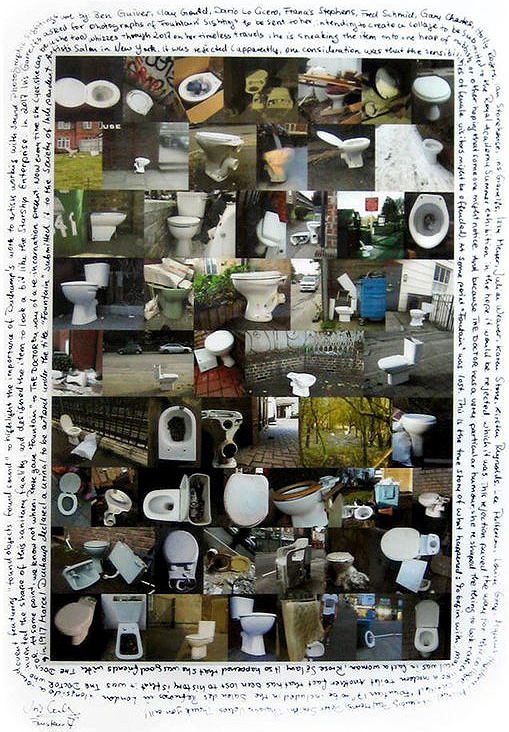 As predicted, Ms Rrose was rejected by the Royal Academy and the path is now clear for @SalonDesRefusesSummerExhibition Any more Loo sightings please do send a photo!